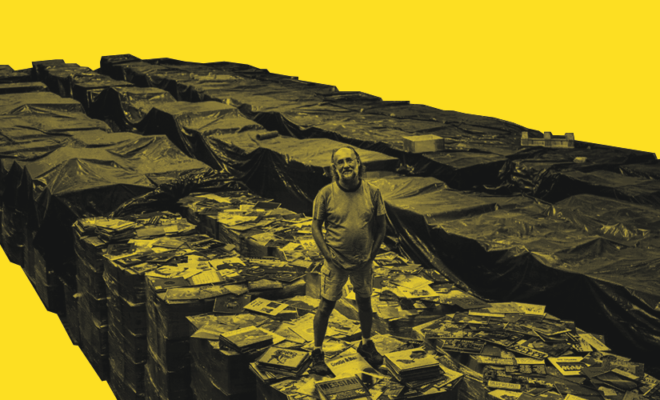 Brazilian businessman Zero Freitas owns over six million records, a collection which he intends to catalogue for public use and transform into a vast listenable archive. Published exclusively on The Vinyl Factory, writer and cultural sociologist Dominik Bartmanski visited Freitas’ São Paulo warehouse for a rare interview with the man himself. What many in the so called ‘global North’ tend to see as the canon of modern music is in fact a slim, often contigent selection from the tremendous musical output that has taken place across the world. 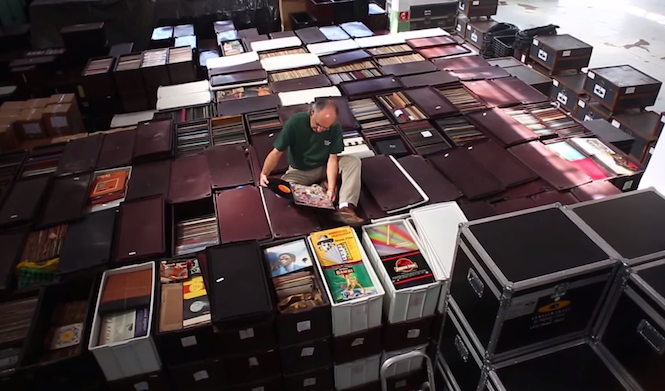 With over 6 million records in his possession, Freitas is now considered to possess the largest privately owned vinyl collection in the world. However, tongue in cheek he relativizes the scale of his achievement. When I was in India, I made jokes in interviews that I cannot be the one with the largest collection of records in the world because there are a dozen Indian maharajas who must have 10 million Indian records, for it is such a big country with a production [of vinyl] almost as big as the Brazilian. The difference is, if those collections do exist, they’re closed. For Freitas, that is troubling and something to be ultimately avoided. By the time he was twenty, he had privately amassed what in his milieu was a ‘non-standard number of records’, totalling around 10,000. From then on, each time he visited a record shop in his Volkswagen Beetle, he would leave it with one hundred records, digging through the stacks of second hand vinyl, starting early when the shop opened, and digging on until closing time. When his collection reached 30,000 – a number that’s hardly manageable alone by anyone’s standards – Zero started to reflect on the meaning of his pursuit. I began to be distressed by having a large volume of records without anyone listening to them. I started to work with stores that I knew because I was a frequent buyer. I would offer what I had at home. I made my material available to a theatre. I had rare things, like a Hitler speech, which, at that time were, not easy to find at the push of a button. That was an embryo of the idea of the public collection. 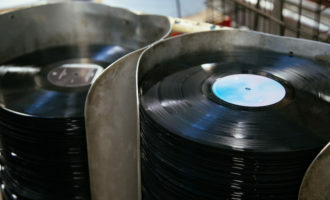 The idea of opening an archive of vinyl accessible to the public is new neither to Brazilians nor to the world at large. There are vinyl libraries in London and New York where Bob George has run the archive of American music he calls ‘Noah’s Ark of American Music’. There is also a new library with 10,000 records recently opened in Seoul, South Korea. In Brazil even, a format has been established by Mario de Andrade´s collection, available at the Centro Cultural São Paulo. But Freitas is taking it to a new level though. 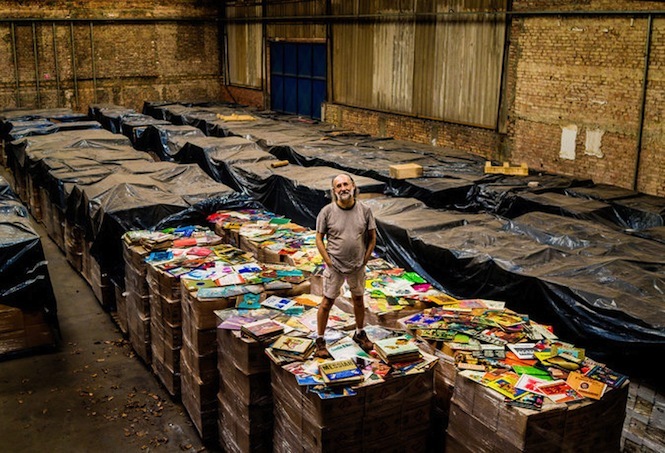 Over six millions records are now assembled in his warehouse, where his employees, mostly interns from University of São Paulo, catalogue them as we speak, using a special software with the aim to have had half a million records inventoried by the end of 2015. Half-jokingly, Freitas informs us that contrary to what one might assume, they are not music students but come from history department. The person who implemented the cataloging system here and had also done the same in the Instituto Moreira Salles, told us not to choose music students for this job because they talk about music all day long and don’t focus on the cataloging process. 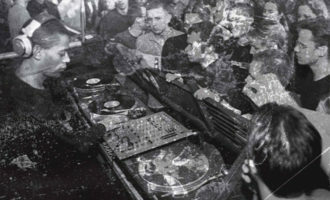 But there are more specific goals and motivations whose unpacking can tell us something deeper about vinyl culture today, its half-forgotten history and its current meanings in an era of full-blown virtualisation of music. Importantly, Freitas has accepted the challenge of his friend, Brazilian journalist Ruy Castro, who publicly stated that in order for Freitas to really take Mario de Andrade’s famous project to a new level, he should aim at gathering under his roof all Brazilian vinyl LPs. More daunting and adventurous than buying well-catalogued U.S. American records from failed stores in California, Louisiana or New York, the task seems worthwhile. In the 1980s, Brazilian collectors of the Instituto Moreira Salles publicly estimated that there were 65,000 78-rpm shellac titles produced in Brazil, and that a similar compendium should be made available for 12-inch vinyl records whose production continued uninterrupted until 1996. As Freitas says, trying to get all the twelve-inch-records ever produced in Brazil is extremely pretentious. Since his love for the musical traditions of his home country seems as bottomless as its sonic richness, he nevertheless accepted the challenge and began to curate his collecting more strictly, prioritising Brazilian works, increasingly the ones from northern regions of the vast country. The challenge is compounded by the fact that Brazilian stores have been raided for decades by collectors from Japan and Europe who followed the Bossa Nova craze. First came the Japanese and some Europeans too, digging in Rio and São Paulo, and afterwards also in the countryside because before long it was over in the big cities. Then they started buying samba because there was no Bossa Nova left. Foreigners started to want other things, for they understood that the Brazilian music is very rich. At that time we had the feeling that they took everything away. There are thousands of Brazilian records I’ve never seen here in Brazil. 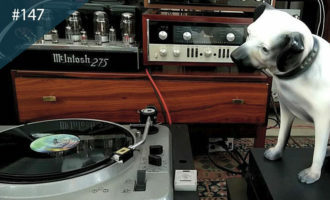 But there is even more to the challenge Castro posed to Freitas: much of Brazil’s enormous vinyl production entered the market through independent labels and local distribution channels, and those records, as well as parts of more mainstream production, have never been digitalised. 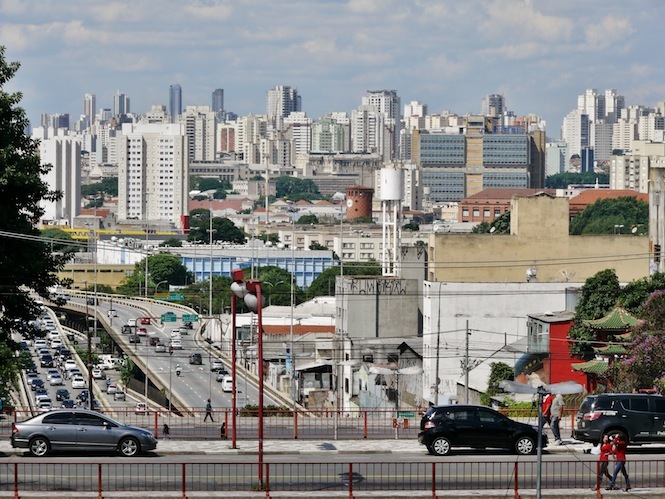 The latter was concentrated largely in São Paulo and Rio de Janeiro, diverting people’s attention from other urban centres of Brazil. Thus, there is an urgent need to preserve the records produced largely outside of the national and international limelight. U.S. Americans have the cult of memory. So the estimation is that the percentage of digitalised music reaches the level of 80% of all works ever released there. In a country like Brazil, it does not reach 20%. I’d say it’s probably even less because this is just 20% of the mainstream commercial market and outside it it must be close to zero. I have thousands and thousands of records with gospel music that were not digitalised. Even the majors that are the most organised of the music labels have no idea of exactly how many records they have produced. The available information is very vague. The thing is, neither the artists themselves, nor their families care to digitalise it. This is very common in Brazil. I go into a store and I see an artist from the 1960s looking for one of his own records, because he doesn’t own a copy. He goes from store to store looking for it. And once he finds it, he wants other copies, so he can give them to his grand children, to show what he did. I’m talking about famous people who do not have their records. Over time Freitas has found roughly 100,000 records in Cuba, including some obscure pre-1989 stuff from Eastern Europe that ended up there due to the former political connections. He finds Cuban music remarkable and estimates that his Cuban collection is now close to all works released there on vinyl. Nowadays it is Brazil that preoccupies him the most and where the scale of the unknown looms large. And it is in off-centre locations where improbable stories still unfold on a regular basis. While searching for hidden collections, you have to filter out what is true and what is false. Sometimes people say things that have no base, or even mock you. Recently a friend of mine found a musician who informed him that a radio station from Fortaleza, Ceara, wanted to sell their collection. They had only 1200 records. Radio stations used to have from 10 to 100 thousand records. It was a Radio Globo station, associated with the national Globo in Fortaleza. 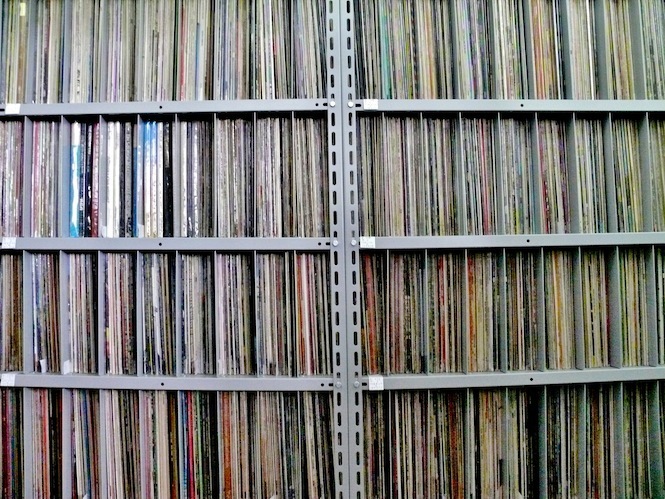 We asked ourselves: where are the radio’s records? Eventually we found out that an important broadcaster who worked for that radio station was given the collection as a gift upon his going to retirement. Everyone in Fortaleza knows the guy, it’s Carneiro Portela. When we approached him, he said: Yeah, I can sell. His family was happy too because he was occupying a rental space and had ceased to rent an apartment just to keep his records! We also got in touch with another broadcaster from that radio station. 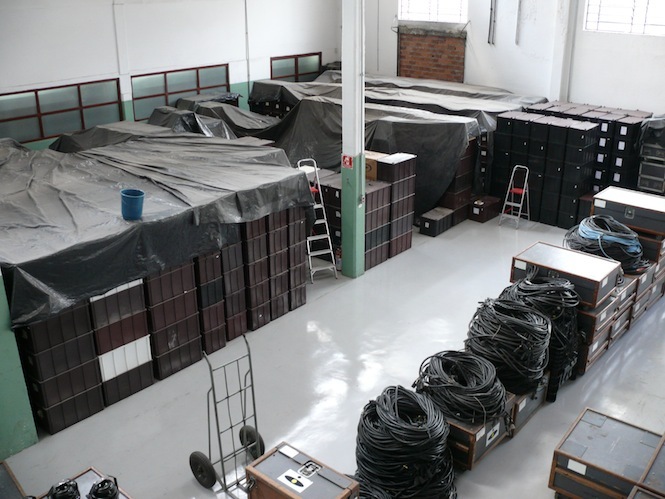 In the first batch we received 25,000 records. These regional records would not normally come to the radio stations in São Paulo. In this batch alone we had 20,000 records we had never heard! A month was needed to catalogue this batch from Ceara. It is so awesome. Then a second batch arrived, with a few repeated records but even then we were happy because they’re rare; rarities that are worth nothing, but for me, culturally, sociologically, they have extraordinary value. In that sense, I feel happy and privileged to have been born in Brazil whose music for me comes first. In short, Freitas’s archive is going to be more than just a comprehensive library of various North and South American mainstream works. 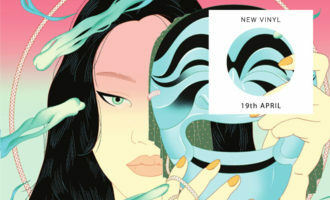 It is meant to be an archive that will embrace various independent labels with back catalogues full of rarities as well as particular sound cultures. To further evaluate the significance of this story, I asked Claas Brieler, a member of Jazzanova and avid record collector based in Berlin, what’s so special about north Brazilian records. 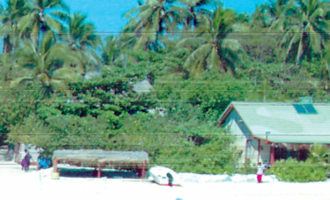 He pointed out that as you go along the coast further away from the southern centres, you encounter a different rhythmic tradition every one hundred kilometres. Creative fusions were occurring in many towns scattered on the enormous shore, throughout the golden era of vinyl in the ’60s and ’70s. Freitas’s encounter in Fortaleza should make us pause and reconsider what we conceive of as ‘global heritage’ and how the musical ‘canon’ is consolidated. What a reasonably informed consumer knows about major acts from major labels might as well be just the tip of the iceberg. The point is not to know everything but to appreciate diversity in its fullest possible spectrum. In the 1980s digital became synonymous with advanced, modern, positive. The analogue was regarded as poor. Today the word digital is increasingly becoming associated with poor and fragile, while analogue is seen as richer because it is a hot medium, one analogous to life. This is the cultural importance of vinyl. It reflects us. People say: ok, but the sound is worse. Still, it moves me more because it is an analogue to life. This does not mean that I will not use the digital stuff. However, music recorded and mastered digitally will not attract people to the sound. The digital is useful but people get more emotional while listening to the analogue source. The sound is dirtier but warmer. The meaning of vinyl has thus shifted from poor to rich. 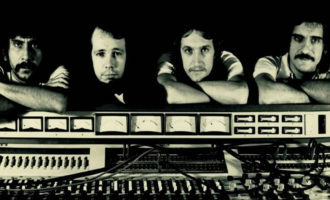 Impure but rich, dirtier but warmer, cumbersome but tangible – it took time for the mainstream to rediscover what Freitas seems to have known all along, the recognition of the fact that the unique beauty of sound stems partly from the unique grit of the medium. An explanation for these changes can be found in French anthropologist Claude Levi-Strauss’s Tristes Tropiques. Reflecting on the superiority of traditionally produced rums over the modern ones, he identifies a distinctive ‘paradox of civilisation’: ‘we know that its magic derives from the presence within it of certain impurities, and yet we can never resist the impulse to clean up precisely those elements which give it its charm… Society sets itself to destroy precisely those things which give it most flavour’. While personal wealth is an unavoidable factor in managing a pursuit as ambitious as Freitas’s, his dedication, combined with a healthy measure of selflessness have turned a once private endeavour into public mission of sorts. 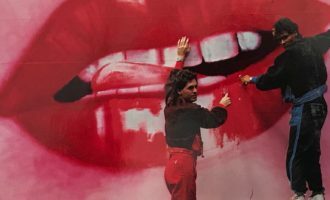 As Freitas gradually transforms his personal obsession into a cultural phenomenon, it seems to have transformed him in turn. He is now increasingly working as a curator rather than just a collector, one conscious of the blurred line where indiscriminate collecting can look increasingly like hoarding. I have no contact with other collectors. In general they are crazy people. I do not belong to a collectors’ club. I made friends with some, mainly through theatre, but I don’t talk to them about records and music, because they talk about it all day, and I find it kind of a sickness. I try to avoid two things: first, I say that records do not belong to me, they are provisionally with me, I’m running them, I have this hope that they will become public thing; second, I keep myself from belonging to the records.There are some health issues I always try to be careful about, checking if I’m not slipping in any of these two holes. While Freitas recognises the fleetingness of material things, he also believes in their power to retrieve the forgotten, and to retain memory, feelings, or a culture. 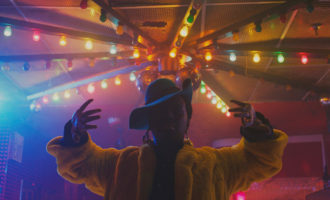 He seems driven by a belief that ‘disc is culture’ (disco é cultura), the thought traditionally inscribed on countless Brazilian and Latin American records, from Rio to Bogota, from Havana to Buenos Aires. Once catalogued and made public, his collection may give a new deeper meaning to this phrase. There are thousands of records that come to me, whose labels contain personal handwritten messages, like ‘this record belongs to this person, 1958’. Well, not even on that day did it belonged to that person. It was more likely that the person belonged to the record. Everything is temporary. Dominik Bartmanski is a cultural sociologist and writer based in Berlin and co-author of the book Vinyl: The Analog Record in the Digital Age (Bloomsbury 2015). Illustration by Hector Plimmer. See more of his work here.